Dubbed the 'greatest parade in the greatest city in the world', you can't question our Lord Mayor's patriotism. I for one am not going to argue. Despite its problems, I love London, and wouldn't want to live anywhere else. But while I am not excited about the date, not even I can deny the thrill of seeing London's New Year's Day Parade. Not only is it a good excuse to party, it is also a good excuse for going to bed early. A lot of people like to stay up into the wee hours of the morning, dancing, drinking, waking up with a headache. Not me. 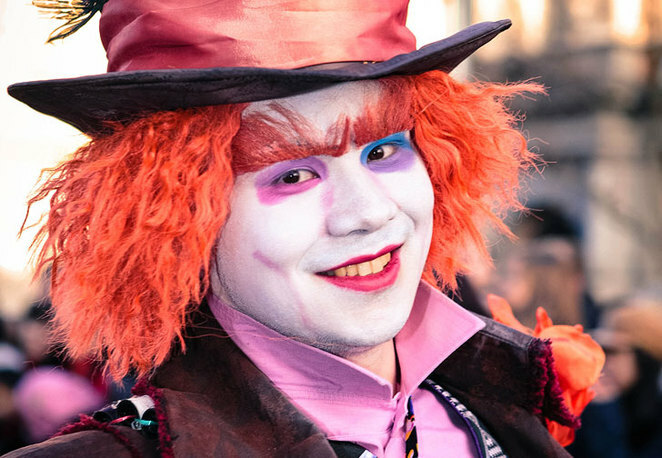 The London's New Year's Day Parade is the party for people who like their beauty sleep. 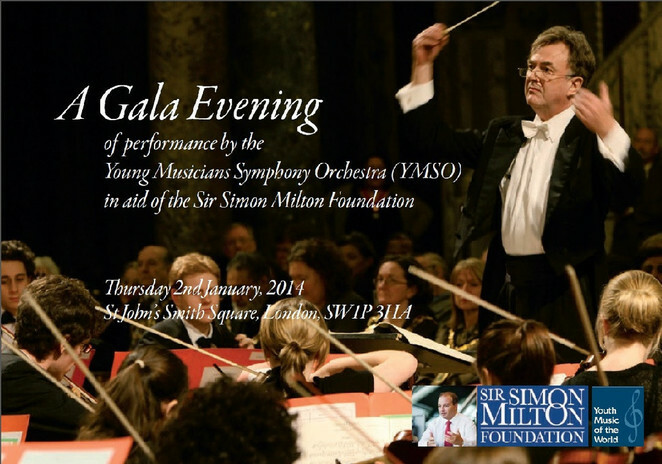 It is also the party for those with young children, who need a good night's rest. 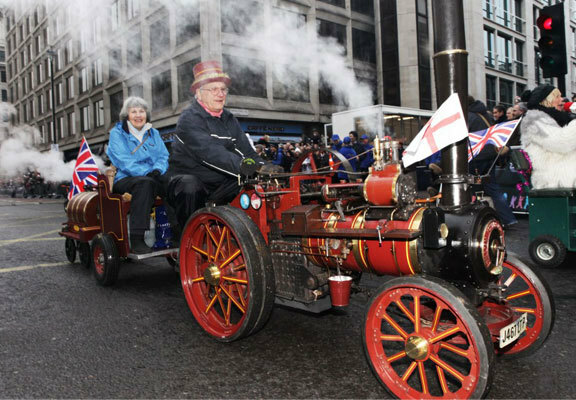 Just to state the obvious, London's New Year's Day Parade takes place on the 1st January in Central London. It will start at Green Park Tube Station, march through Piccadilly Circus, make a journey to Charing Cross, and finally come to an end at Westminster. You can either follow the parade or choose to watch at one of the seven grandstands dotted along the route. With commentators over the loud speakers, you won't be able to miss a thing. Now we all know what a parade is like, so what makes this one so special? Maybe it is the sense of community. Every year there is competition in which all the boroughs of London can participate in. The aim is to make the best damned float there was, with the winning borough winning a jackpot charity prize, which can be used to improve the area, keep public services running, or however, the council see fit. There is a different theme each year. In 2013 the theme was 'Hats Off to London', and I am proud to say my borough came first place. Sadly Merton is not taking part this year, but I can't wait to see what the other boroughs are going to come up with for 2014's 'swinging sixties' theme. As well as the community floats, there will be lots of other spectacles in the parade as well. 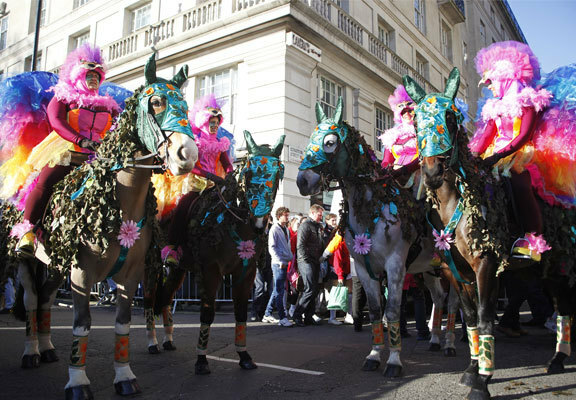 Foe example, All the Queen's Horses are letting their manes down, and dressing up in wild carnival colours. The Meridian Corps of Drums from Dorest will be performing, the Merry Downers Morris shall bring some Irish dancing to the fold, and the Foresters Scooter Club will be revving up their mopeds. Another vehicle you might not expect on the road comes from the Miniature Steamers for Charity, whose working model steam train engine will be chuff, chuff, chuffing along. It is not only British talent on display either. 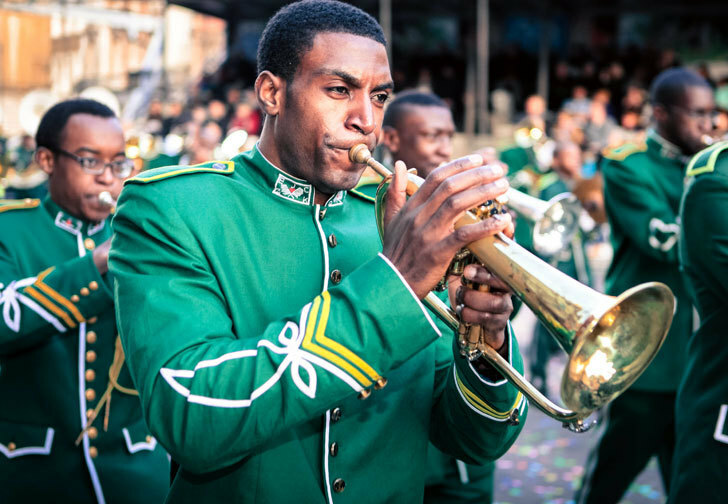 The parade is an international celebration, with marching bands from the Unites States and Panama, an African brass band, and Bolivian dance groups. In the run up to the parade, there will be a series of festival concerts on the 29th & 30th December. This will be finished off with a grand Gala Evening of Performance by the Young Musicians Symphony Orchestra. Phone: 44 (0) 203 275 0190.